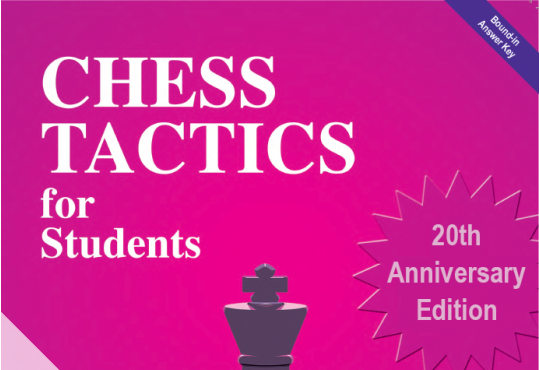 Chess author, teacher, and coach John Bain is most well known for his instructional workbook Chess Tactics for Students--a book that award-winning chess instructor Dan Heisman recommends all his students learn virtually by heart. Bain also maintains the excellent website Chess for Students which contains a wealth of chess resources for students of the game. 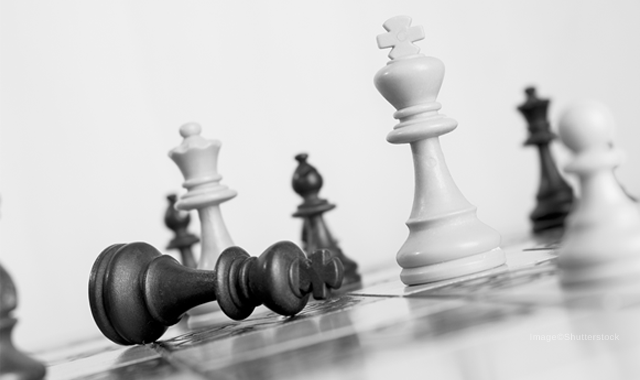 Here we feature one of Bain's articles entitled: Making Chess Clubs for Students Work. Cynthia Cui won the Remembering Bobby Fischer Houlton Tournament with a perfect 4.0 points in four games. The tournament, played in Houlton, Maine on the American World Champion's birthday--March 9th--attracted ten players in one section. Trailing Cui were Roger Morin in clear second and Tom Sandford and Nathan Gates who tied for third with 2.5 points. For the first time, chess has been recognized by the International Committee of Sports for the Deaf to be included in the Winter Deaflympics. 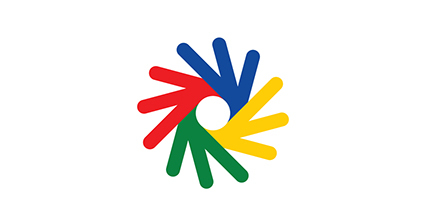 The Deaflympics, which is sanctioned by the International Olympic Committee, is a quadrennial international elite sporting event that has been attracting deaf athletes since its inception in 1924. The American Chess Association of the Deaf, in partnership with the USA Deaf Sports Federation, is in the process of selecting a deaf chess team to represent the United States at the 2019 Winter Deaflympics in December in Chiavenna, Italy. Three Hundred ninety-three players and sixty-three teams competed in the 2019 State Scholastic Team Chess Championship played at the Cross Insurance Center in Bangor, Maine on Saturday, March 2nd. The tournament offered thirteen sections from K-1 Novice to High School Championship and two Open sections. These numbers distinguish the tournament as one of the biggest chess tournaments ever held in Maine. Here's the richly illustrated tournament report with team and individual results. 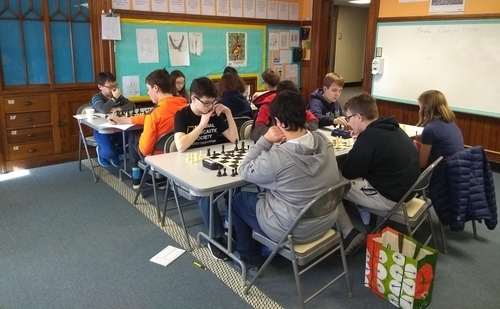 Like the All Saints Winter Warmup, the Southwestern Maine High School Chess Championship tournament is in place as a training tournament for those players who would like to get some chess competition in before the Scholastic Team Chess Championships. The "Southwesterns" were held at Cheverus High School in Portland on Saturday, February 23rd. The tournament had three sections: a six-player rated section and two non-rated sections. 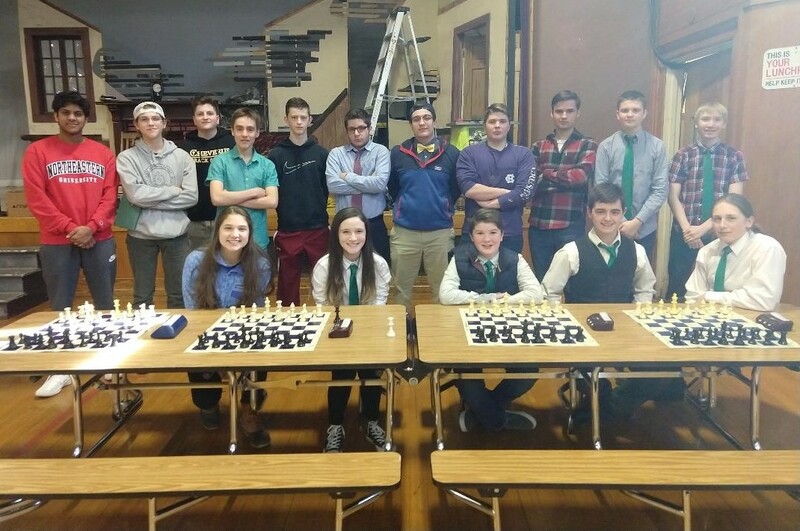 The All Saints Winter Warmup tournament has been a staple on the Maine scholastic chess calendar for many years. 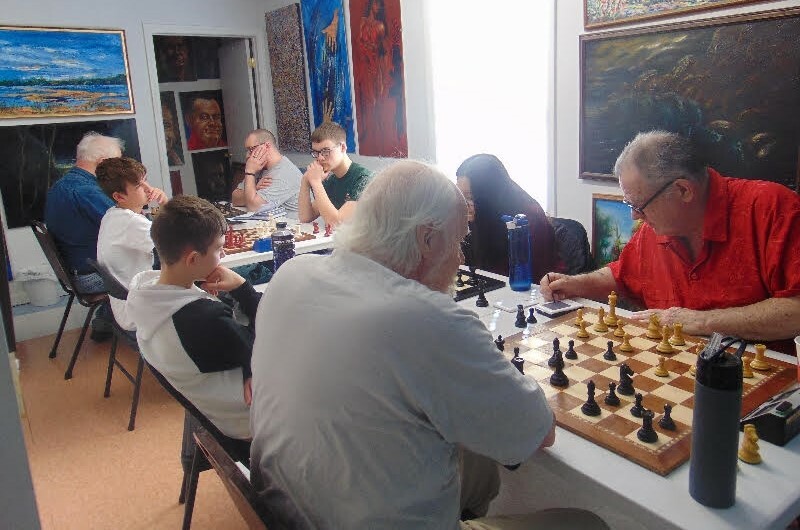 Its original purpose, and one that it still fulfills today, was to help prepare scholastic chess players for the upcoming State Scholastic Chess Championships traditionally held in March. This year's Winter Warmup, played on Saturday, February 23rd in Bangor, was offered in five sections: Open, K-12, K-8, K-6, and a non-rated K-4 section. Here's the illustrated tournament report with US Chess crosstables. Maine's largest tournament of the year is just a few days away. The Maine Scholastic Team Chess Championship are scheduled for Saturday, March 2nd at the Cross Insurance Center in Bangor. In this post, we bring you some important information regarding the tournament including parking, registration, payment, food, and a snow date in case of inclement weather. 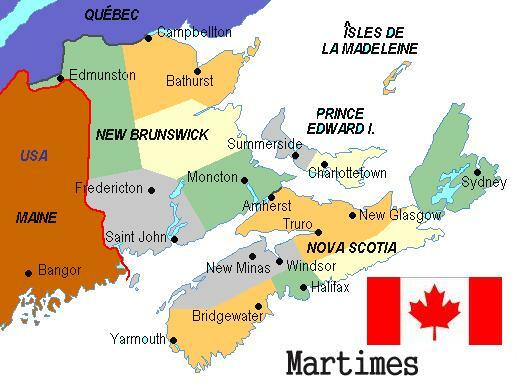 One of the drawbacks of living in a rural state (like Maine) with a small population (like Maine) is that the population of chess players is also small and if you play for any length of time, you end up playing the same people time after time. 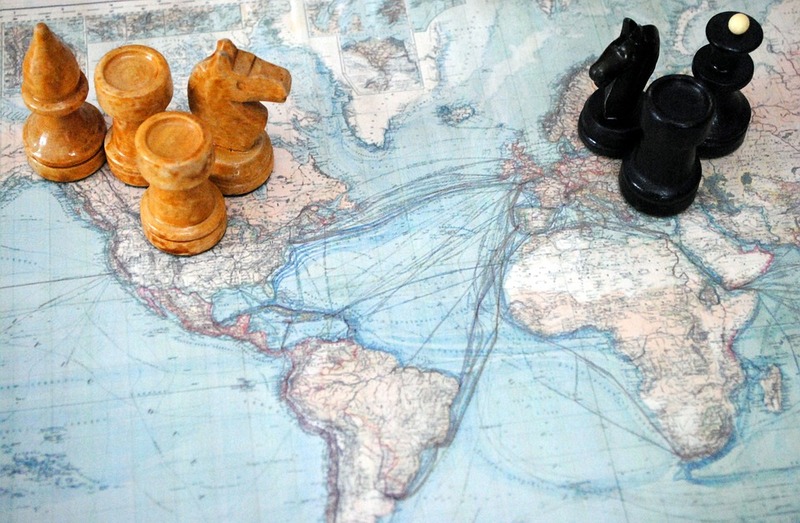 Chess player and chess mom Elisabeth Mock submitted this report about her experiences crossing state lines in search of chess competition. 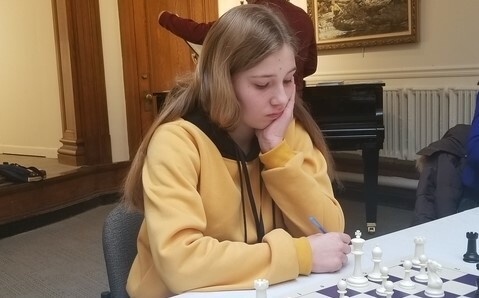 The 2019 Maine Girls' Chess Champion Agata Sloniewska was featured in an article in the online Journal Tribune on February 16th. Sloniewska, a native of Poland and sophomore at Thornton Academy, won the right to represent Maine at the 2019 National Girls Tournament of Champions in Orlando, Florida in August.